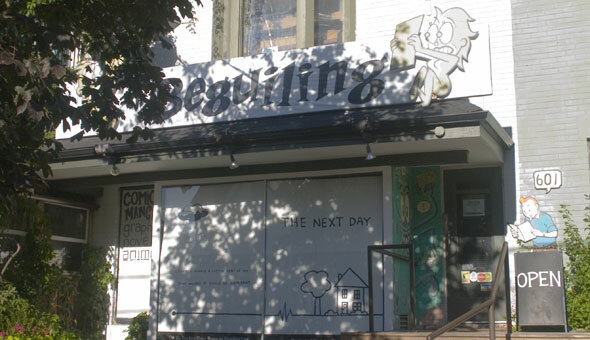 "Canada's Finest Purveyor of Comics, Graphic Novels, Manga, and Original Art" The Beguiling is a comics store at 601 Markham St just off Bloor St. in Mirvish Village near the Annex area of downtown Toronto. The Beguiling features a large selection of art books, comics, graphic novels and indie comics. They frequent author events and take part in a number of exhibitions and conferences over the year.